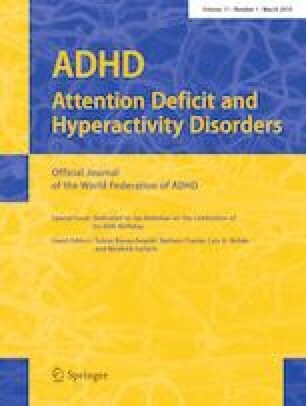 This study aimed to understand the contributions of active ADHD symptoms and the diagnostic label of ADHD in yielding negative attitudes and social distance ratings. Using Amazon’s Mechanical Turk (n = 305), respondents were assigned to read a vignette about: (a) a typically developing child, (b) a child with active ADHD symptoms and (c) a child with active ADHD symptoms + diagnostic label. Participants were then asked to answer questions about their beliefs and feelings about the child in the vignette. The active ADHD symptom condition predicted higher levels of social distance, and this link was mediated by negative and animalistic adjective ratings, and by angry emotions felt by the participants after reading the vignettes. Our findings suggest that ADHD symptoms drive negative views and social distance and that an ADHD label may serve as a protective factor to help people overcome biases related to childhood ADHD. ADHD symptom literacy and contact with children with varying levels of ADHD symptoms may be an important target to help reduce negative attitudes.